If I gave you the opportunity to enter in to a drawing for 1 million dollars and it was the same cost for 45 entries as it would be for 53 entries, how many entries would you put in? If there was a sale at the store for your favorite beverage and once again for the same cost you could get 45 units or 53 units, how many would you take? If your cable provider offered you the movie channels for the same cost if you choose HBO or HBO plus Showtime and Cinemax, what would you choose? In this day and age I know people will take things they don’t need just because the price is the same either way. If you get to give your Featured Presentation 1 more time than other members in the chapter, are you getting more out of your investment? If you get to ask your chapter for a specific referral 53 times and other members only get to ask 45 times, are you getting more out of your investment? I ask all this because the holiday season is just around the corner. Some chapters will have everyone decide if they should meet and others will leave the decision with the Leadership Team. But I want you to really think about having your meeting even during the busy holiday season. I try to be realistic and I know if everyone in the chapter is traveling and it will be a room full of subs, it can be hard to commit to the meeting. But realize not everyone travels for holidays and some of those members may benefit from a room full of subs. They get more exposure for their business and they have a room full of new faces that might be able to connect them to the referral they are looking for. Even when you were not able to make the meeting you could provide a sub that can still bring value to the chapter and other members. The questions I asked at the beginning of this blog should help you have the mindset of getting the most out of your investment in BNI. More meetings means more education from the members. This allows you to pass more referrals and with the philosophy of Givers Gain, you will receive more referrals. It is like getting more entries in a drawing for a money pot for the same investment! When a member joins we express how important Visibility is to receiving more referrals. Simply put, if you are not there you will not be top of mind for your members. During the holiday season or federal holidays we tend to be around more friends and family, meaning there will be more opportunity for members to hear an opportunity of a referral for you. 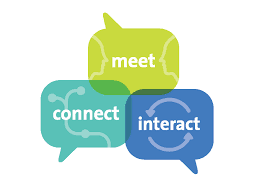 Don’t you want to have the meeting to attend so you will be top of mind before and after everyone spends time with their personal network, talking about many things that can lead to a referral? I would! In my experience the chapters that have good momentum and strong closed business tend to meet as much as they can each year. If your chapter is one that cancels the meeting for any holiday, whether or not it interferes with the normal chapter meeting, then consider printing this out and passing it on to all your members to show the value of their membership. A chapter did meet the week of a holiday but they choose to use what some businesses call a “floating holiday”. You have to work the day of the holiday, but you can have a paid day off to make up for it. So the chapter choose 4 weeks later to not have their meeting. The Area Director of the chapter got a call from a visitor going to the meeting that week and when they showed up no one was there. A little more research and it showed another visitor had registered for the meeting. So this chapter missed the opportunity of having 2 visitors that day, but due to not meeting neither of them got the opportunity to see the BNI meeting. Get the most out of everyone’s investment in BNI and really think about what you are missing if you choose not to have your weekly meeting.